A young woman studying away from home disappears suddenly. Friends and family hold a candlelight vigil for her safe return. Tragically, her body was discovered shortly afterwards, murdered and abandoned. 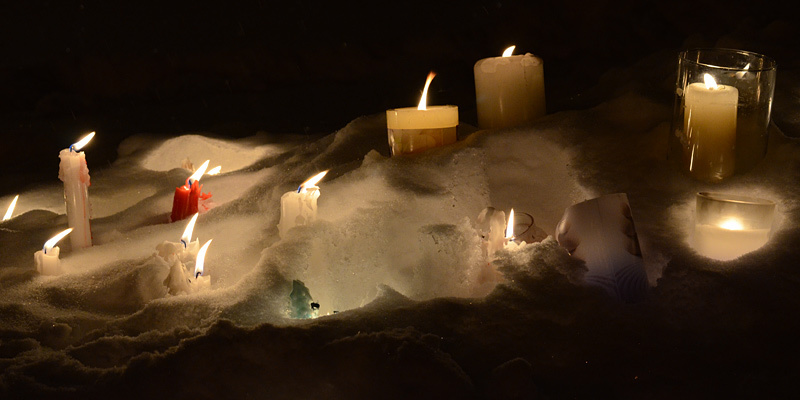 The candles burning in the wind will soon blink out in the snowbank. But people at home will not forget.